I love music, I just had to preface this track with that statement. Now I’ve heard Jason Bently rave about Miike Snow, the group, and I kinda just filed that bit of info in the “I’ll check them out when I get a chance” dept. Then on the way home tonight listening to KCRW, I heard “Cult Logic” and feel hard for it. The slow burning rhythm with great melodies and it just made me happy to be alive. This track would sound amazing in the club, with friends having a good time and drinking a cold beverage. By the way, they have one of the slickest myspace layout designs I’ve seen in a while. My best description of this track is a cross between Hot Chip and Passion Pit with a hint of Peter Gabriel esque vocals — just a hint mind you. Side note: Two thirds of Miike Snow (Christian Karlsson and Pontus Winnber) are also known as the Swedish pop production team Bloodshy and Avant. Miike Snow is a band. Swedish duo Christian Karlsson and Pontus Winnberg are childhood friends who spent time playing in bands and working on various projects in studios throughout Gothenburg. After separate moves to Stockholm they reunited in 2000 when their paths crossed with American Andrew Wyatt to write a pop album for a someone else. The release was small, there was little distribution and an alleged large sum of money was lost in the process. The three stayed in touch and a friendship was formed and in 2007 Miike Snow was born. Karlsson and Winnberg’s backgrounds in the DJ scene and punk bands alongside experiments in progressive electro and new rave lead to a series of writing / producing stints with Madonna, Kylie Minogue and Britney Spears – culminating in their Grammy win for Best Dance Recording with her song “Toxic”. Wyatt has been a member in Black Beetle (with Joan Wasser) and The A.M. (with Michael Tighe). He had an album come out this year with the band Fires of Rome as well writing and producing the new Daniel Merriweather album with Mark Ronson. 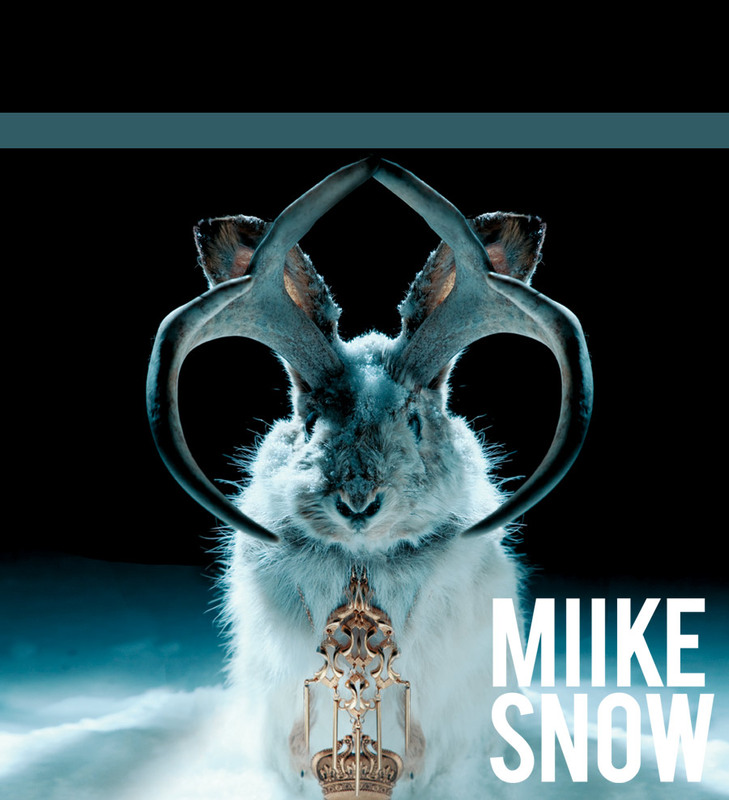 Miike Snow’s self titled debut is a full band collaboration, showcasing their deft mastery of the studio while acknowledging each members unique talent for songwriting, production, arrangement and performance. Finally ready to step out of the studio, but not the shadows, Miike Snow is set to be released this summer. Recorded in Stockholm in the 400 year old home used to house King Gustaf III’s mistress, Miike Snow bristles with confidence. It’s intelligent pop music that has the ability to cradle taste making purists and reach anthemic heights. Showcasing melodic songs built for the anything goes environment of the club, Miike Snow will make anonymity an impossibility. Hard to envision until I heard the song. Nice. The description couldn’t be more accurate. Next PostNext Exclusive new Sleepthief single featuring Coury Palermo!